IDJ: The majority of engineering projects of all types generally evolve from an idea, to a sketch and move through stages to become physical models that can be discussed, commented on and hopefully approved. These can stretch from major civil engineering projects such as the airport and its infrastructure all the way through to designs for small manufactured consumer goods. The public rarely see these models unless they involve the government’s large city planning proposals. Once their useful life has expired they are invariably scrapped. Hong Kong has over the years supported a number of professional model-making companies building these miniature masterpieces. The building and flying of model aircraft has been catered for over many years even before WW2 at various sites in the New Territories. However, the type of model making discussed here is different in many ways. Model making in its numerous formats is recognised as a worthwhile hobby in Europe, Australia and North America and Japan, but the ‘miniature engineering’ aspect as practised elsewhere was alien to Hong Kong. 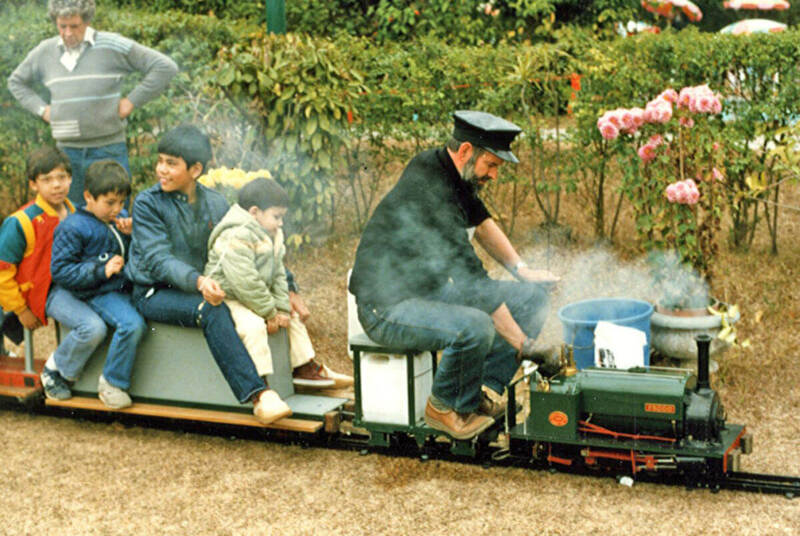 In the early 1980s a plaintive letter to the South China Morning Post’s editor appeared in the newspaper highlighting that there were no miniature railways in Hong Kong that could carry children and accompanying adults. Overseas, these proved to be a very popular weekend activity in public parks and open-days on model engineering club sites. 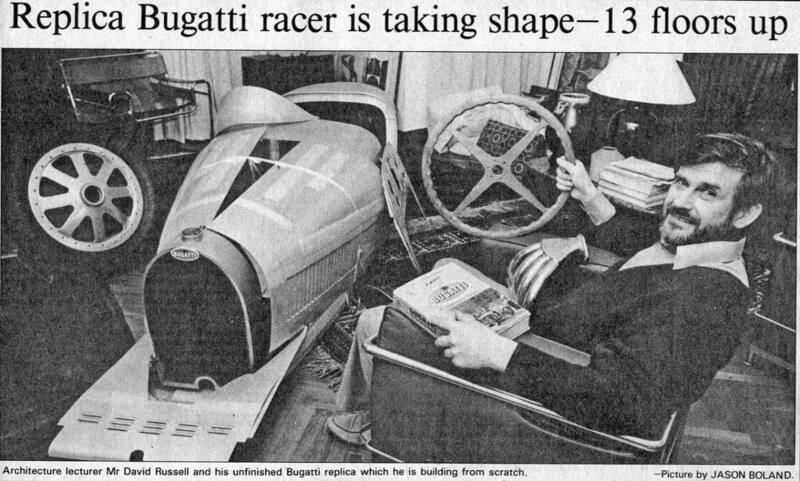 By coincidence, scattered individuals were gradually coming together by word of mouth who in their spare time had been lone workers constructing miniature coal burning steam locomotives capable of pulling passengers, makers of unusual clocks, a full-size Bugatti racing car replica builder who had earlier started to construct a single-engine aircraft, a non-professional steam launch builder, amateur specialist tools and jigs makers, miniature traction-engine builders and many others with various engineering interests not catered for in Hong Kong as recognised hobbies. These were not ‘kit builders’ assembling injection moulded plastic models of aircraft and boats, or clocks assembled from professionally manufactured parts, but people designing and then self-machining their projects from basic steel bar, cast iron, brass, gun-metal, wood etc. 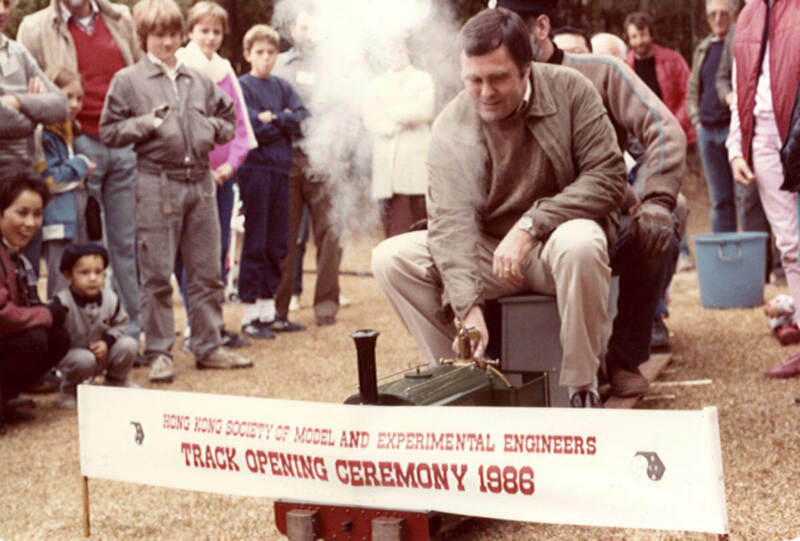 In 1984 the Hong Kong Society of Model & Experimental Engineers (HKSMEE) was officially registered. Regular meetings evolved that were later based at the United Services Recreation Club (USRC) in Kowloon. Discussions centred around members current and future projects, home machining/manufacturing problems, and the sourcing of materials in Hong Kong. ‘Experts?’ on relevant subjects occasionally took to the floor for informal lectures, some visiting from overseas. Plus there was the normal socialising with people having similar interests all making for enjoyable meetings. A few members were engineers by profession, but most were from all walks of life. Some members had managed to create comprehensive workshops in their apartments, usually in an unused amah’s room, filling it with a bench plus a lathe, and milling and drilling machines. A French civil engineer travelled with his workshop, model locomotives and track fitted out in a shipping container to be placed on his current worksite wherever that may be. Others, whose period in Hong Kong was short-term or uncertain, undertook smaller scale table-top projects that did not need full size workshop machinery or took a close interest in the wide-ranging projects underway. They gave encouragement and advice while biding their time until they could establish their own workshops back ‘home.’ Saturday afternoons could be spent prowling around the long established engineering supplies shops and ship’s chandlers that then existed in the Shanghai Street and Reclamation Street areas of Kowloon with members searching for elusive materials for their projects and tools. This initially gave much concern to the shopkeepers who were left wondering why groups of mainly Gweilos were taking such a deep interest in their stock. In 1985, members had sufficient confidence in the variety and quality of their projects to organise an exhibition to show off to the public their finished and part-built work. Amazingly the management of the USRC agreed to allow it to take place during the 1986 Lunar New Year holiday giving the general public access to the main building and grounds, and so the event was widely advertised. A portable miniature railway track (dual gauge 3.5”/5” wide) had been constructed by the apprentices of a major company that supported the society and this was laid out in the grounds. The exhibition was opened by the managing director of the KCR (now MTRC) by driving a miniature steam locomotive through a decorated banner stretched across the track. For the remainder of the day this train carried hundreds of children and adults around the new track. 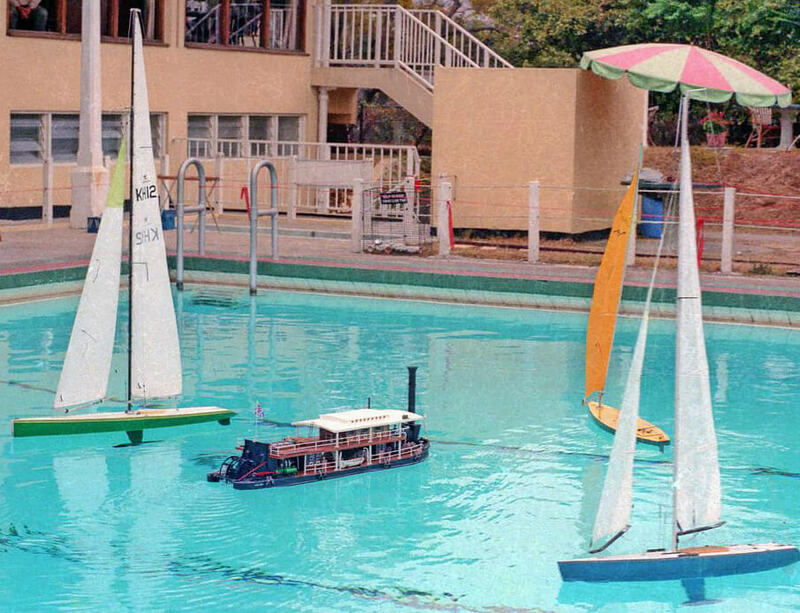 Meanwhile, member’s radio-controlled model boats and the Hong Kong Model Yachting Association’s high-performance racing yachts were demonstrated on the large swimming pool. Within the exhibition hall, tables had been laid out showing numerous engineering projects either completed or ‘work in progress.’ The event was deemed to be a great success and featured on the TV news and generated extensive newsprint coverage. Although much to the annoyance of many of the society’s members, the local visitors, TV and Press reporters, would insist on referring to their miniature ‘masterpieces’ made with much skill and frustration over hundreds of hours as ‘toys’!! Subsequently, as further steam locomotives were completed these were tested and operated at the society’s ‘steaming days.’ Unfortunately for the general public these were usually at restricted access sites as the large flat unobstructed areas necessary to lay out the track had security and public insurance considerations imposed upon them by their custodians. Over the life of the society around ten miniature steam locomotives were available to run on the society’s railway track at different times, many constructed completely in Hong Kong. A number of simple car-battery powered electric locomotives were also designed and built that member’s children could safely drive on their own. A major project by a member was a coal fired steam-engine powered launch, the ‘Vital Spark,’ based at Hebe Haven. The substantial steam engine and its accessories were built in a ‘home’ workshop with the hull constructed and fitted out near Hebe Haven. Vital Spark was steamed regularly around the sheltered waters attracting a lot of attention. It is understood that this was the last steam powered vessel to be licenced by the Hong Kong Marine Department. It could carry six passengers and was relocated with its builder to New Zealand in 1996. The society thrived with its transient mainly expat membership until the middle of the 1990s. By then it was becoming apparent that many members were drifting away from Hong Kong due to job relocations, expiry of employment contracts and retirements etc. With no new members coming in, the HKSMEE was formally wound up by the remaining few in mid-1996. Post-1997 residents may well be continuing with some of the activities originally taken up by HKSMEE members, but in an individual and anonymous fashion. You just never know what is going on in the anonymous high-rise residences of the city, and the low rise villas with much more precious spare space in the New Territories and islands. Unknown to you there may be a home workshop nearby where a ‘miniature engineering masterpiece’ is being made! The Hong Kong Model Yachting Association referred to in the text appears to have no website references and so may no longer exist in the form that it did. The building and flying of model aircraft in Hong Kong is well catered for. This article was first posted on 26th February 2016.